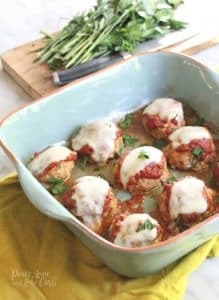 If you feel like you are missing out on chicken parmesan while on the keto diet, this is the place for you! 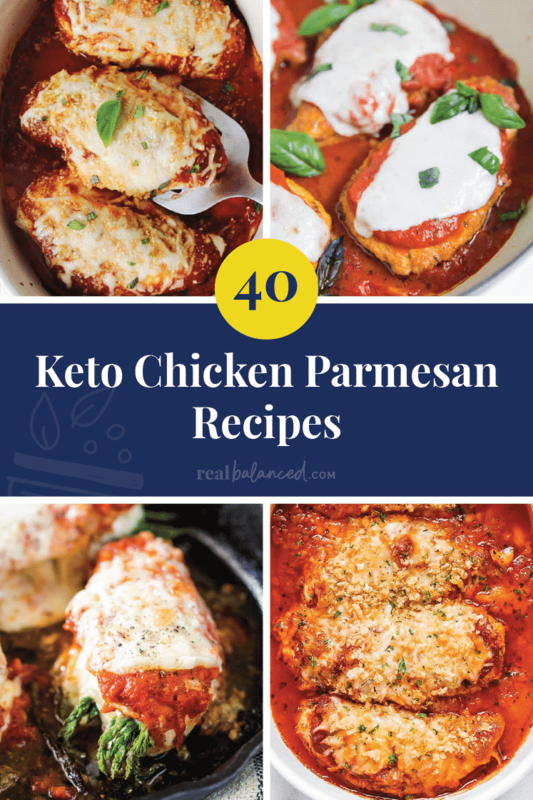 Here are 40 Keto Chicken Parmesan recipes that are all low in carbs, while still having the amazing flavor that classic chicken parmesan does! 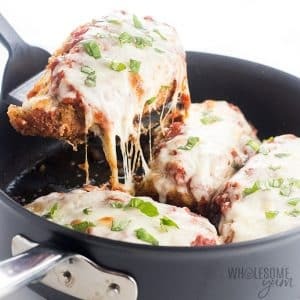 Can I just start by saying…chicken parmesan is AMAZING! 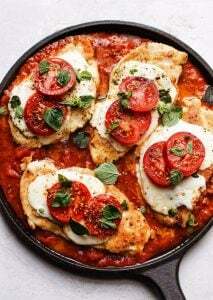 I mean, who can say no to breaded chicken with tomato sauce and TONS of mozzarella cheese? 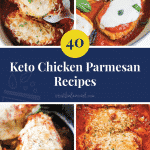 Well, if you are on a keto diet, you will have to say no to most chicken parmesan recipes because they tend to be SUPER high in carbs! But that doesn’t mean you always have to miss out! 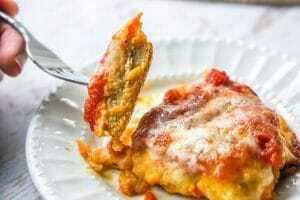 You can still make some pretty dang good chicken parmesan right at home! 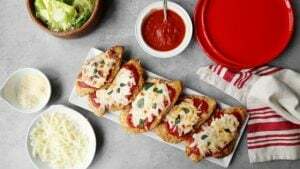 With the help of pork, rinds, parmesan cheese, almond flour, and even protein powder, keto chicken parmesan can achieve the same crispiness, without all of the carbs! 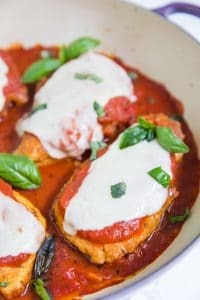 So…without further ado I present to you 40 keto chicken parmesan recipes! Enjoy! 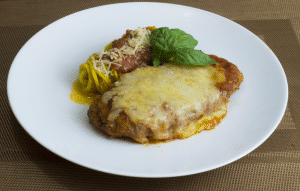 You would never guess that this tasty dinner recipe was low-carb! Your whole family will enjoy it! If you like cinnamon rolls, you HAVE to try these muffins! This easy family dinner recipe is drool-worthy! 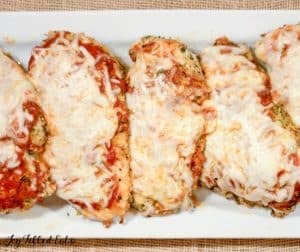 Why do you even need breading when the chicken, sauce and (tons of) cheese tastes soooo delicious!? 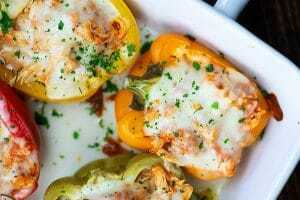 This recipe puts a a tasty twist on your classic stuffed peppers! 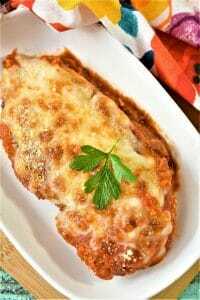 This chicken parmesan casserole can be made in just 30 minutes! Perfect for busy nights! 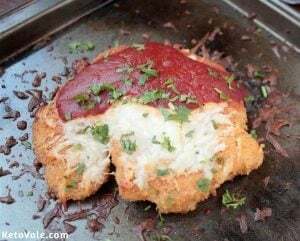 The breading on this chicken parmesan is super crispy and thick, while still being low in carbs! I bet you can’t guess the secret ingredient in this recipe! Okay, okay I’ll tell you…it’s whey protein powder! 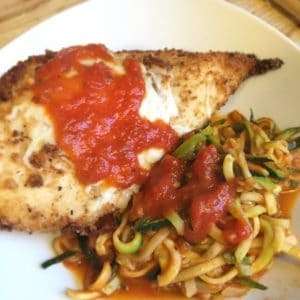 This recipe tricks you into thinking you are eating high-carb pasta and breaded chicken! 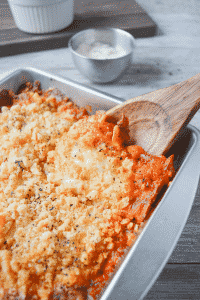 But, this casserole is actually super low in carbs! 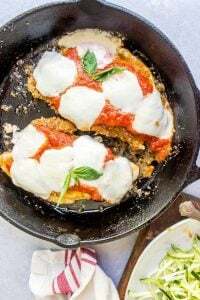 The creaminess of the cheese and the crispiness of the breading on this gluten-free, keto chicken parmesan is to die for! 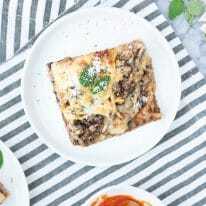 You will be thinking about dinner all day long when you are making this flavorful, healthy, and easy-to-make casserole! 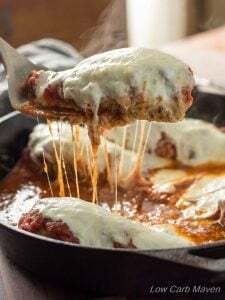 This keto chicken parmesan recipe is even better than your favorite restaurant’s! 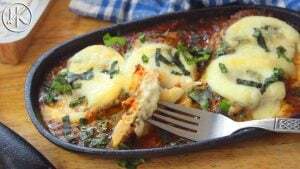 The crust on this keto pizza is literally made of chicken! 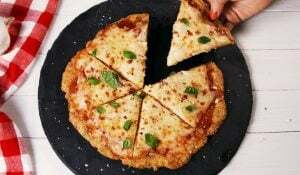 Best and yummiest idea EVER! 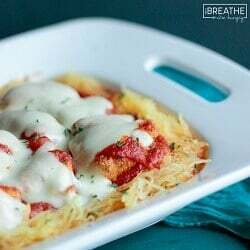 After eating this lightened-up chicken parmesan, you won’t get that same yucky feeling you do after eating the high carb versions! 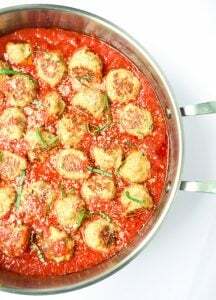 These meatballs taste great with some zoodles, spaghetti squash, or just by themselves! 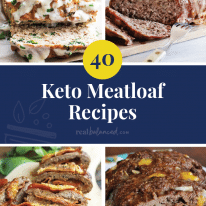 Looking for a keto dinner recipe that will WOW your guests? 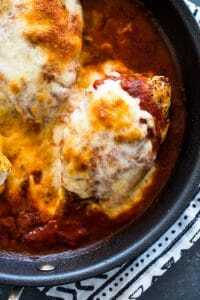 This chicken parmesan recipe is THE BEST! 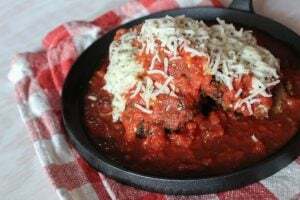 Recipe and photo courtesy of That’s Low Carb?! 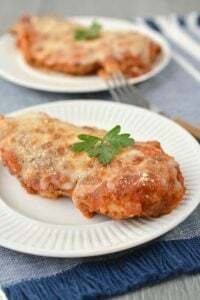 Just like in the picture, this chicken parmesan goes great with a side salad! 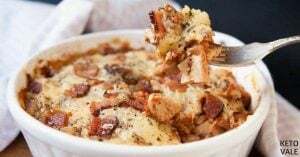 When you are craving a hearty, italian meal, but don’t want to go out of ketosis, this casserole is perfect! Your kids will request this meal weekly, without even knowing it is healthy! Who needs breadcrumbs when you have pork rinds and parmesan!? 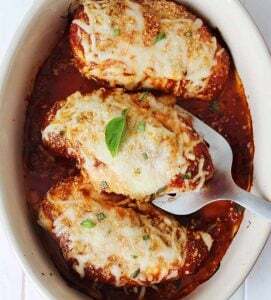 You’ll get in an extra dose of veggies and an extra hint of delicious flavor with this asparagus-stuffed chicken parmesan! 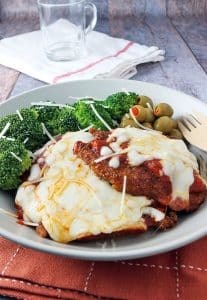 This keto chicken parmesan only contains 2.9g net carbs per serving! 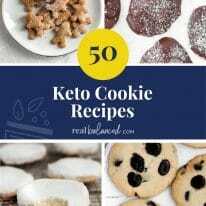 This recipe is keto, gluten-free, low-carb, kid-friendly, and easy to make! It will be your new favorite dinner! 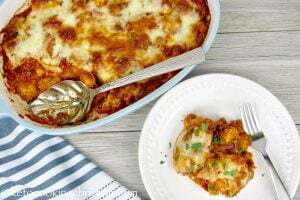 Not only is this chicken parmesan casserole SUPER cheesy, but it also has bacon! What’s not to love about that!? 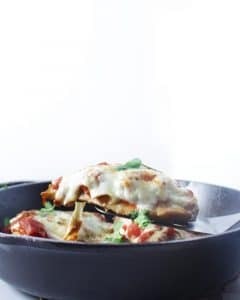 Just LOOK at that melted, stringy cheese coming from that crispy, saucy chicken breast! 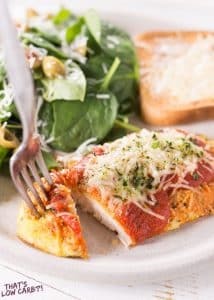 This keto chicken parmesan is soooo flavorful! I t tastes even better than the real thing! This chicken is crispy on the outside and tender on the inside! 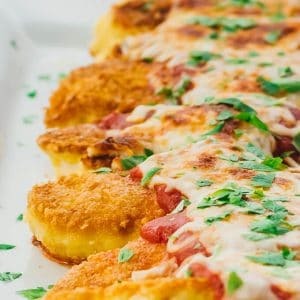 This recipe is the definition of keto comfort food! 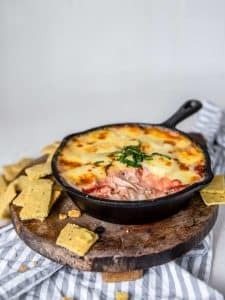 Keto chicken parmesan dip + keto crackers = BEST appetizer ever!! No breadcrumbs? No problem! This recipe tastes AMAZING! You can get a healthy dinner on the table in less than 20 minutes with this recipe! 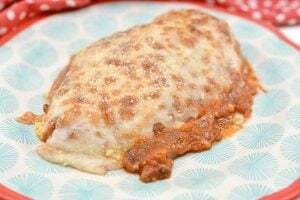 This is a MUST try recipe for when you need a quick, easy and healthy meal! 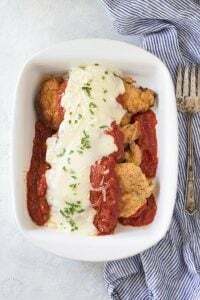 This recipe is a great way to use up those juicy tomatoes fresh from your garden! 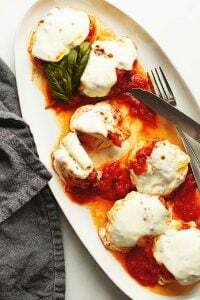 These meatballs make a great dinner or party appetizer that everybody will devour! 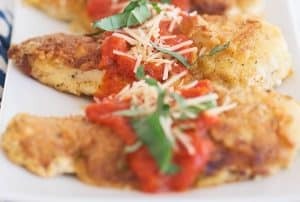 Can you believe that this low-carb chicken parmesan takes less than 20 minutes from start to finish!? 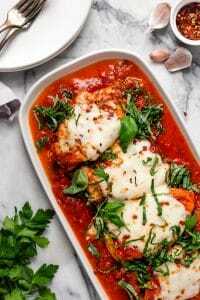 The pork rinds in this chicken parmesan give it an amazing texture that is so close to that of breadcrumbs! 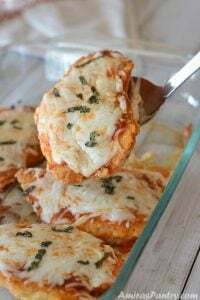 Chicken parmesan made with chicken tenders is just so much more fun! It will make you feel (kinda) like a child again! 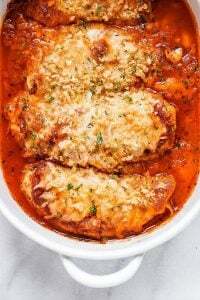 This chicken parmesan is super yummy and protein-packed! 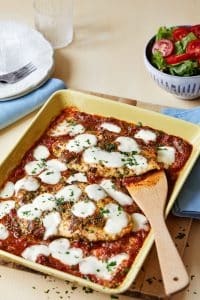 If you are a tomato sauce lover, you will love this chicken parmesan recipe, which is drenched in low-carb tomato sauce and only takes 30 minutes to make! 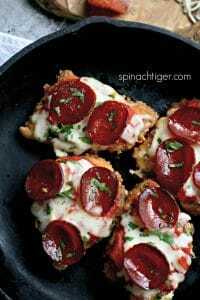 This recipe tastes like a combo of pizza and chicken parmesan all in one! YUM!